The 1935 “Quintuplet Map” issued by the Board of Trade. In 1935 OHW was promoted by the railways and by the local Board of Trade. 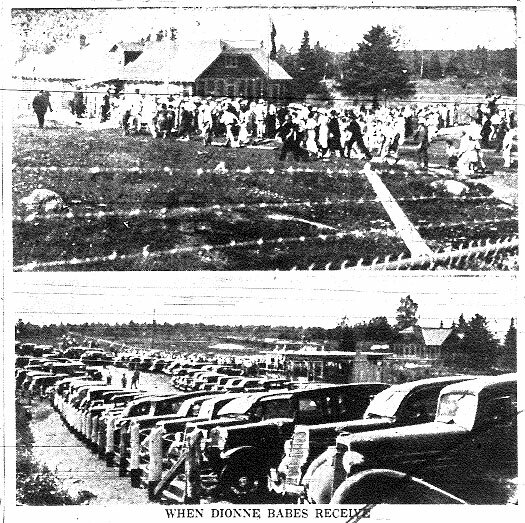 Every effort was made to be sure that visitors to the Dionne quintuplets were aware of Norh Bay and OHW. 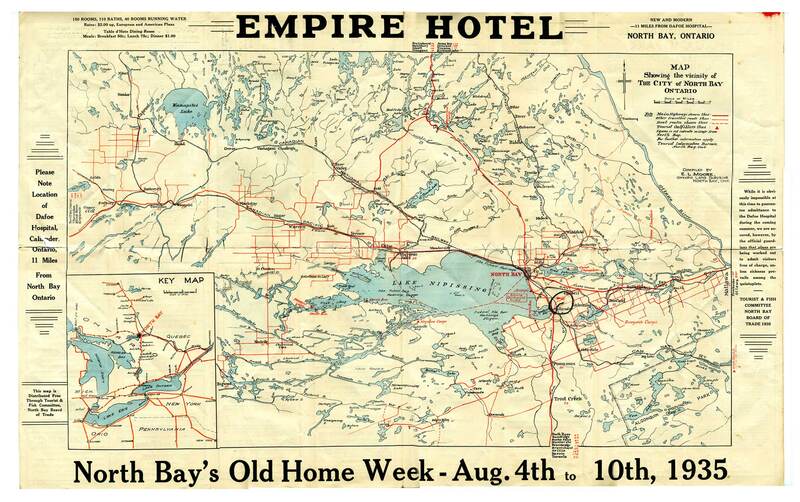 The “Tourist and Fish Committee” of the North Bay Board of Trade sent out 10,000 copies of their special “Quintuplet Maps” which highlighted the Dionne Quints and the Old Home Week activities to tourist information bureaus across the province. (The Nugget, June 28, 1935. The reverse side of the map features advertising in panels approximately 9 x 22.5 cm in size. 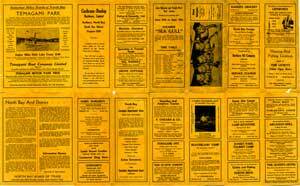 When the map is folded, the image of the Dionne quintuplets appears on the advertisement for cruises out of Callander on the steamer “Sea Gull” appeared on the bottom. 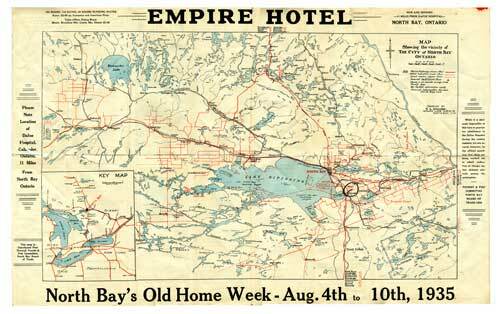 A large two-panel ad by the North Bay Board of Trade advertised the advantages of North Bay as a tourist destination. Temagami Park was also featured in a two-panel ad. The Nugget, 26 July 1935. By summer, tourists were beginning to arrive to visit the Quints, and North Bay wanted to capitalize on this. An unusual advertising method used to give visitors to the Quints the message that Old Home Week was happening in North Bay only a few miles away was an ox-cart with a large sign to that effect. 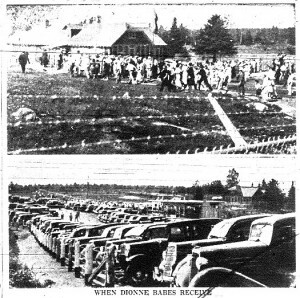 The key for promoters of OHW in 1935 was to get the message out that North Bay was in close proximity to the Quints and that anyone visiting the Quints should visit North Bay as well. This entry was posted in Tourism History and tagged North Bay, Old Home Week, Quintland on January 31, 2013 by Françoise Noël.